Gnome House is an inspiring community and creative space in Walthamstow, East London. It includes a printmaking studio, a large community/creative space available for hire, a meeting room for hire and a cafe planned to open late 2016/early 2017. When did Gnome House open? Gnome House opened in May 2015 and is used every day by community groups, local business and schools. So far we have hosted a wide variety of activities from African drumming to the Forest Philharmonic. What type of organisation runs Gnome House? Gnome House is a partnership of local residents and building developers Hollivale Blackhorse LLP. Gnome House is run by Gnome House Community Interest Company (CIC.) A CIC is a type of social enterprise that wants to use its profits and assets for the public good. Gnome House CIC is a self-funding organisation – and generates income by renting and hiring the space. In May 2015 Gnome House was awarded a £4,000 grant by the William Morris Ward Forum which went towards Gnome House’s launch event and running a series of activities for local young people. 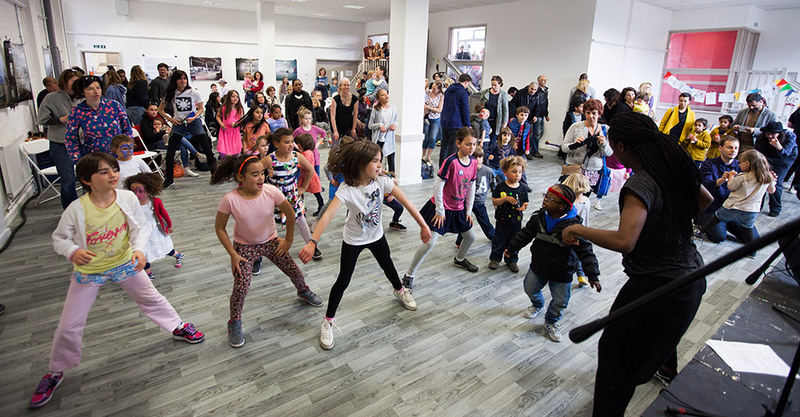 How was Gnome House re-developed into a community asset? This was the catalyst for a unique partnership between the local community and Hollivale Blackhorse LLP which has transformed the ground floor from a crumbling relic into a new and vibrant space for the whole community. How long was Gnome House derelict? Gnome House CIC has been granted a 99 year lease on ground floor of the building by Hollivale Blackhorse LLP. The whole project has been directed by the community, from the initial public consultations and then throughout the planning process and building phase. Three of the four founding Directors all live locally and have broad experience of delivering a wide range of community arts & education projects. The founding Directors were: Chantelle Michaux, Anna Alcock, Martin Nash and Mark Burton. Who are the Gnome House Directors? The building’s name derives from the famous ‘Gnome du Rhone’ engine, a pioneering radial engine that powered fighter planes during WW1. The Gnome engine was manufactured on the site 100 years ago. There is a very interesting article in the Waltham Forest Guardian about this aspect of Gnome House’s history here. When will the cafe open? The cafe is planned to open late 2016/early 2017. Is there office/flexible working space available at Gnome House? Is there studio space available for rent at Gnome House?